Just to put cruising in perspective, P&O, Britain’s largest deep-sea operator, will in 2017 have available 18,000 lower berths every day, plus quite a significant number of convertible sofas and what it calls “upper Pullman berths”, or bunks, to you and me! That is a lot of selling to do but the line, part of the US-based Carnival Corporation based at Southampton, is quietly confident that its targets for next year will be achieved. 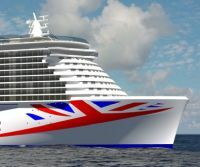 Last month, the line announced a new super-liner for 2020, coming in at 180,000 tonnes and 5,200 guests, easily Britain’s largest ever passenger ship, with twice the capacity of its cousin Queen Mary 2. Interest is already ramping up, but bookings will not open until autumn 2018, the first cruise likely to sell out within hours. The current P&O brochure takes us up to March 2018. No itinerary as yet for the new ship, or a name. The staff will call the shots on that one. One thing for sure, the new ship’s voyage from the Meyer Werft shipyard at Papenburg to the sea, 20 miles-plus of canal and the River Elbe, is going to be spectacular! The ship will be the most environmentally-efficient large passenger ship in the world with “green cruising” design using liquefied natural gas (LNG) to generate the primary source of power both in port and on the open sea. This will significantly reduce exhaust emissions to help to protect the environment in support of the company's sustainability goals. Just how Brexit is working for the company can be summed up by this statement from P&O Cruises senior vice president, Paul Ludlow: "Our guests should be reassured that on a P&O Cruises holiday they are paying in pounds and our on-board currency is in pounds as well. Even when travelling in the US and across Europe, our guests are able to book the extensive range of shore excursions on board and pay for everything on board in pounds, thus getting maximum value for money." Supporting this enterprise are more than 7,000 ship's crew and a head office with 1,200 staff. Perhaps its only problem, as always in the hospitality industry, is making sure all the staff are aware of what is required. One bad apple can easily send the wrong message. However, on the technical front, no problems for part of the world’s largest cruise operation. 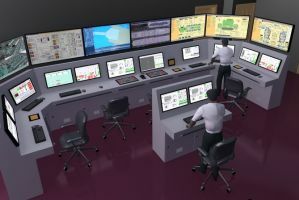 The recently-opened US$75m Arison Maritime Center at Almere near Amsterdam features the industry’s most advanced simulators and training equipment, providing rigorous annual training to more than 6,500 bridge and engineering officers from the company’s 10 global cruise-line brands. Some wag recently called P&O “the Butlin’s of the 21st century” and perhaps that description is more or less true. In the post-war years, Sir Billy’s expanding empire catered for a population that was learning about an ‘all-inclusive’ holiday. Britannia and her sisters are very much in that mould. Many stars developed their craft at Skegness and the like. That is still the case with P&O today, but with the entertainers having a West End background and supported by top stage stars such as Ruthie Henshall and her production team. Ruthie and Paul Schofield of Three Pin Productions are producing a brand new show for Arcadia called Money Makes The World Go Round. It is based around the music of acclaimed song-writing duo Kander and Ebb and features popular songs from shows such as Cabaret, Chicago and Flora The Red Menace. P&O can be coy on the marketing front, but there appear to be no plans to open up alternative UK ports to Southampton. Sister company Holland America has in recent times operated a low-profile series out of Tilbury and likewise Cunard does make noises about Liverpool, but even for 2017 it is only a port of call. Arcadia and Oriana stay as adult-only and the ships are refurnished on a rolling basis, with Oriana due to undergo a three-week refurbishment in Hamburg at the end of this month (see below). Another Carnival-Ariston company, Princess, once aggressively marketed in Britain, has its European sales base at the same Southampton offices but is relatively low-profile in the UK, offering only fly-cruises. It is a not-dissimilar product to P&O but with a high proportion of North American customers, even in Europe. Seabourn, five-star, has a presence, but, again, it does not make a lot of noise and British sales are limited. A major new entertainment hub called the Dome will be among the star attractions to feature on the new 2020 liner. With an impressive clear roof, a pool with a retractable stage, water feature and whirlpools, the Dome will act as an all-weather venue for entertainment and informal dining. An uninterrupted half-mile promenade around the ship on Deck 8 will provide easy access to al fresco dining at a range of restaurants and relaxation areas under shaded pavilion awnings. Glass walls spanning three decks offer natural light into the signature atrium, the central heartbeat and focal point of the ship, complete with a grand staircase, gallery and overhead walkways. Initial concepts for differentiated cabins will be created by Acumen (London), a contemporary design practice behind British Airways’ first-ever lie-flat beds, Air France First Class and the Residence, Etihad Airways’ opulent three-room suites in the sky. Paul Ludlow: “Choice, flexibility and the ability to create individual holiday experiences on board will be at the heart of the new ship which, thanks to an innovative use of space, will offer an extensive range of dining, entertainment and relaxing areas. 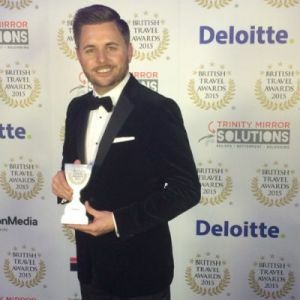 “Understanding the psychographic – the mindset – of our current and future guests is the key, acknowledging and realising what they want from a holiday and then providing it for them. TUI really needs to speak to its cruise-liner partner Royal Caribbean when it comes to giving its ships a title. You know which cruise line one is talking about with a name such as “Something of the Seas” and a whole variety of prefixes. But Mein Schiff 1-7 is confusing.